Kitchen worktops come in a wide range of different materials and colour options. 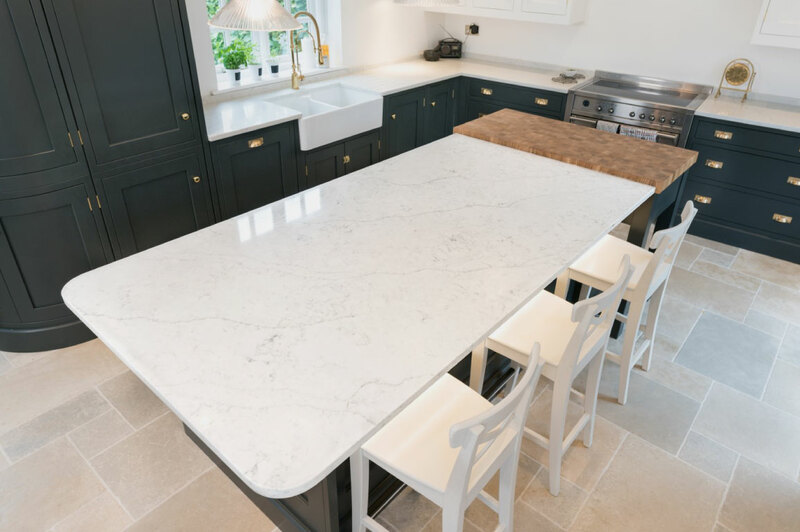 We specialise in Luxury Stone Kitchen Worktops such as Granite and Quartz which are both popular due to their many advantages, such as premium look, hard-wearing, low maintenance and wow factor. Whatever your kitchen requirements you can trust that Rock & Co have a worksurface to suit your kitchen. Quartz is a fantastic product suitable for Kitchen Worktops, especially where style, performance and cost are all important. Quartz kitchen worktops are made up of approximately 95% natural Quartz mineral, with the remaining 5% made up of fragments, pigments and resins to give the slab overall strength and a consistant design. We were the first UK fabricator to introduce a range of Carrara and Calacatta quartz designs to the marketplace. Having seen the popularity of this material featuring the stunning natural designs in the USA we thought the UK could benefit from this too. We now have one of the largest ranges of Calacatta style quartz with large veins running throughout the slab (which can be bookmatched), we also have more subtle marbling in the Carrara styles. Granite is the traditional stone worktop choice. It is suitable for any Kitchen environment, where unique style and performance are required. 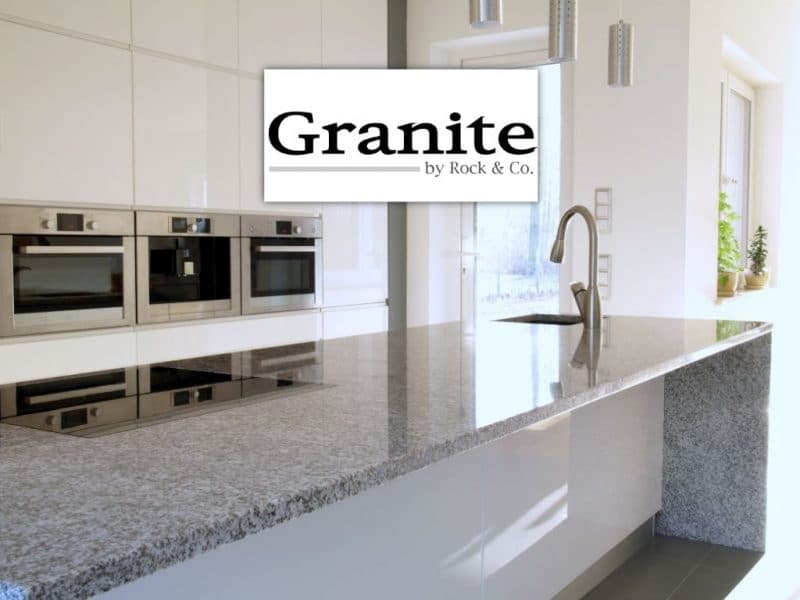 Granite worktops are 100% natural, formed over millions of years. A variety of colours and patterns are produced, determined by a mix of Quartz, Mica and Feldspar in its make-up.